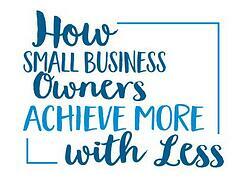 Running a small business is truly a labor of love. Entrepreneurs start businesses with a passion for their art or craft, or they had a great new idea that was going to change the world. Nothing is better than getting up in the morning excited about pursuing your passion. Then the reality of running the business soon sets in. What’s even more challenging is that these subject areas may not be in the owner’s fields of expertise. The unsuspecting boss is now forced to scramble to learn how to get it done – hoping there are no mistakes – and learning along the way. And it’s a high-stakes learning curve. The penalty for ignorance or errors can be hefty fines and penalties from the IRS, OSHA, the EEOC or others. Yikes! The good news is that there is help – expert help – to tackle these responsibilities and give you back time to pursue your passion.